Have you ever gotten a homemade gift that made you cringe? I’m uncomfortable just thinking about it. 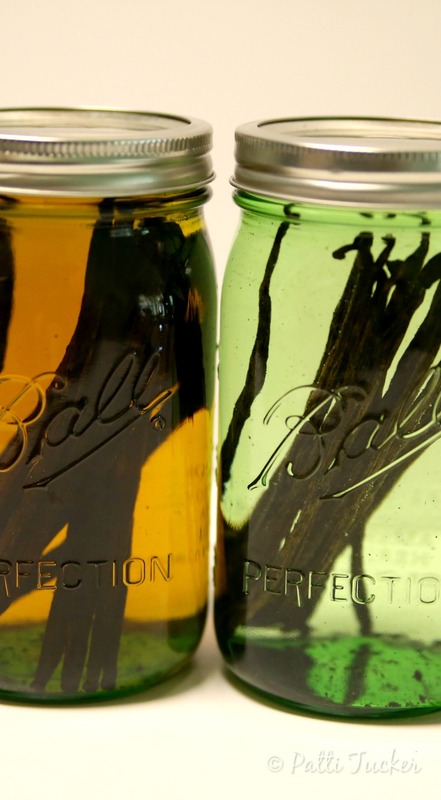 Homemade Vanilla is my favorite cringe-proof gift to give. 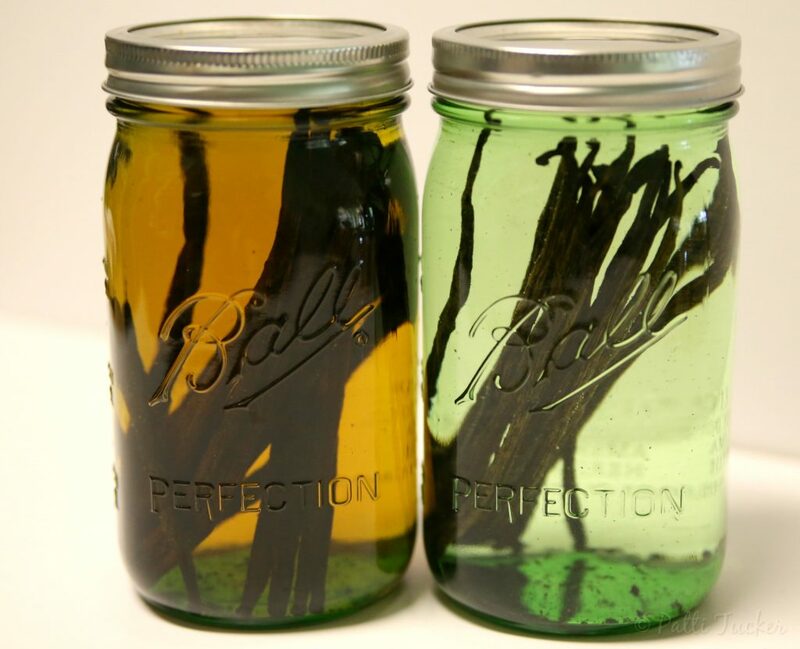 #1: Homemade vanilla astounds people, so there’s the happy surprise element: You made homemade vanilla?! AMAZING! We all love to feel those feels, right? I had to throw that in because that’s what Boy teasingly calls it (he’s not exactly wrong), as he covets a refill from my pantry. Well, the jokes on him, because this vanilla is phenomenal and drinkable. 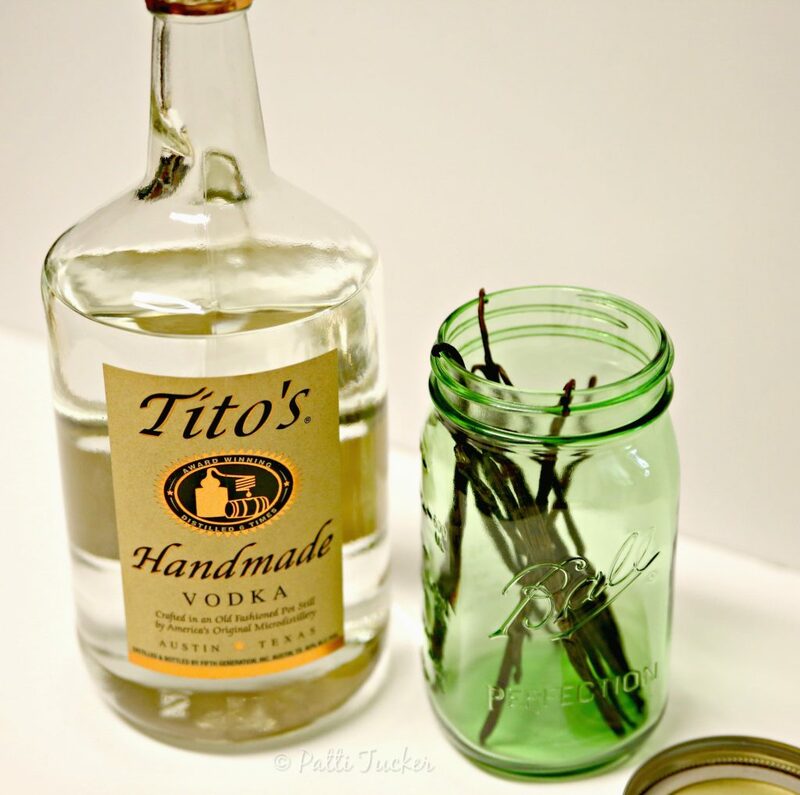 Prior to making your own vanilla extract, you will need to gather a few items. 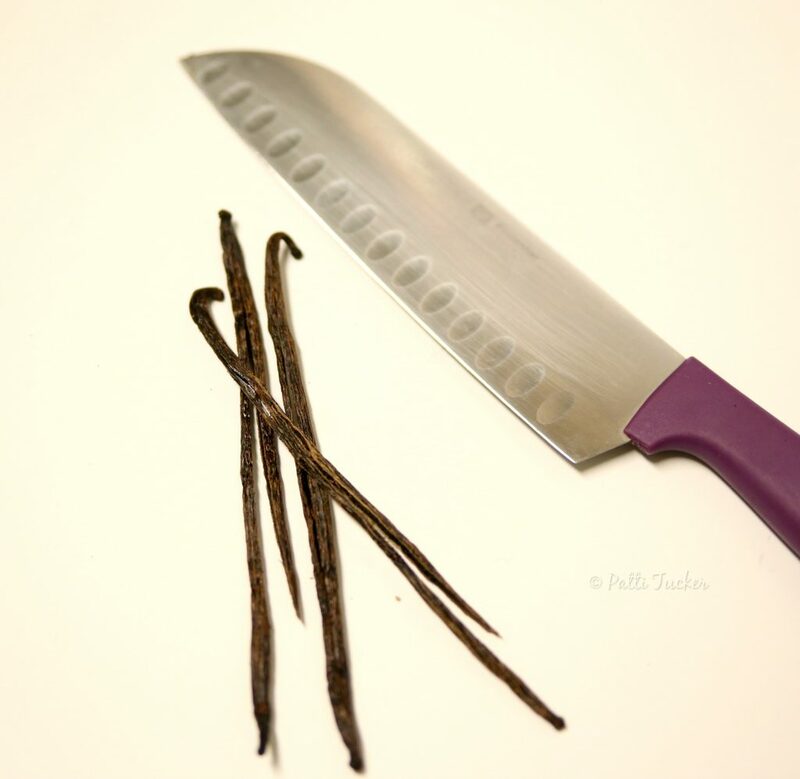 Buy Grade A or Grade B vanilla beans from Amazon or a reputable grocery store. Optional: Buy wide mouth jar lids for easy shaking. Got everything? Good. Let’s get started. Using a sharp knife, cut/snip beans about halfway up. More or less, doesn’t really matter. Fill to cover beans with alcohol of your choice. Screw lid on securely, then place in cool dark place. Mine went to the back of my pantry. About once a week or so, you can shake the jars. I did for about three weeks then totally forgot about them until my calendar alerted me that they were ready for use. You decide. Works either way. Keep the jars in the dark cave anywhere from six weeks to three months, depending on the final strength you’d like your amazing homemade nectar. NOTE: I always wait three months for a bolder strength. 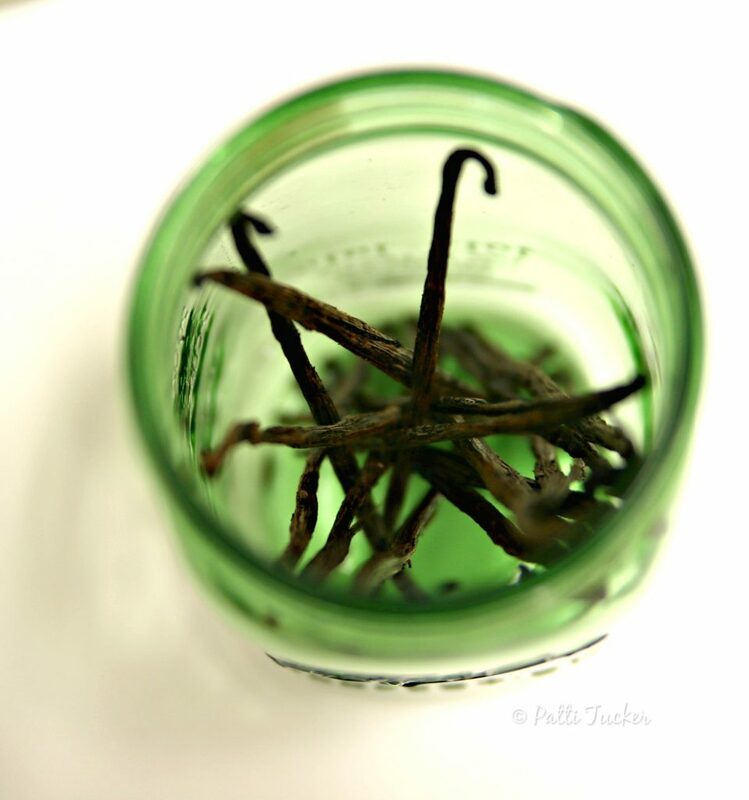 Homemade vanilla is a gift that keeps on giving. Oh, NOW I found your vanilla recipe after scrolling down a bit. DUH. Got too busy reading about Mason jars. Jeepers! You made me go back into the post – afraid I had forgotten it! I make this every year and make several batches for myself to use and for gifts. 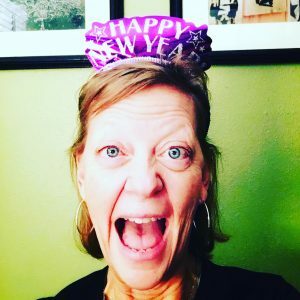 Found you on Wonderful Wednesday Blog Hop. I bet folks love being on your gift list!